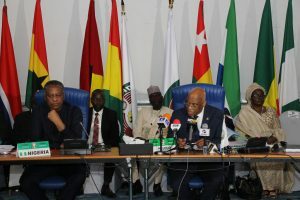 Heads of State and Government of the Economic Community of West African States (ECOWAS) have taken measures to strengthen good governance and economic integration in the region. 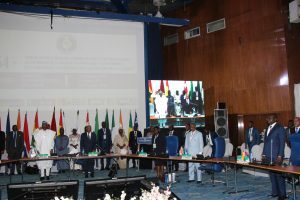 In a communique issued at the end of their 54th Ordinary Session which ended in Abuja, Nigeria on the 22nd of December 2018, they took specific decisions on the economic performance and implementation of regional integration Programmes, the creation of the monetary union, free movement of persons and goods as well as the Economic Partnership Agreement (EPA) between the West African region and the European Union. Other areas which received desirable attention, included industry and private sector, environment and climate change, energy and infrastructure development, culture development, peace, security and democracy. Also considered during the meeting were the reports of the Presidential Task Force on the ECOWAS Trade Liberalization Scheme (ETLS), ECOWAS Single Currency as well as on the Political situation in Guinea Bissau and Togo before documents embodying the Community Acts and Decisions were signed. Besides institutional matters, the leaders took a common position on the situation in Guinea Bissau, Togo, The Gambia and Mali with the clear intention of fostering the rule of law, resolve the lingering political crisis and the creation of a healthy, stable environment in the countries. Concerning institutional matters, the Authority welcomed the progress made in the implementation of measures envisaged by the Institutional reform in conformity with the road map. Additional decisions were taken on the harmonization of ECOWAS position in international organisations and international cooperation. On energy and infrastructure development, the leaders endorsed the Master Plan for the development of a Regional power Generation and Transmission Infrastructure (2019-2033), as an essential tool to address the challenges of energy deficit in the region. 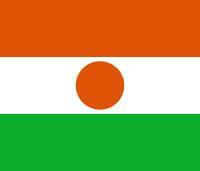 With regards to free movement of persons and goods, the Authority invited Member States to speed up the implementation of the biometric identity card and instructed the ECOWAS Commission to ensure its acceptance by all Member States to allow holders of the card to travel freely in the region. It also instructed the President of the Commission to organize a high-level conference on free movement in the first half of 2019 while urging Member States to open up their markets to avoid possible reciprocal measures from other countries in the region. The authority also took note of the state of execution of the mission of the Task Force on the ETLS and reaffirmed its support for the Task Force as well as of proposals for innovative and vigorous actions in order to sustainably eliminate barriers to intra-regional trade. The Authority urged Member States to continue efforts to diversify their economies and implement specific policies to support growth-oriented sectors. The summit featured a side event being the roundtable on Energy Interconnection for Sustainable Development. In this vein, the President of Global Energy Interconnection Development and Cooperation Organisation Mr. Liu Zhenya amdean elaborate presentation. There was a reading of the ECOWAS Political Declaration and Common Position on the return of Cultural Artefacts to Africa. The leaders also considered the 2018 annual report of ECOWAS, the report of 41st Ordinary Meeting of the Mediation and Security Council as well as that of the 81st Ordinary Session of the ECOWAS Council of Ministers.